Syracuse’s next freshman stars Tyus Battle and Matthew Moyer are already on campus, but the 2016-2017 roster is not yet complete. The Orange would like to add at least one more big man to the roster for depth, and an additional guard would help alleviate the loss of Malachi Richardson to the NBA Draft. 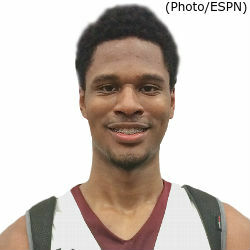 The primary target to provide frontcourt depth is 4-star power forward Taurean Thompson. Thompson listed Syracuse among his top three schools, along with Michigan State and Seton Hall, and the 6’9’’ big man has visited the SU campus multiple times. By most accounts, Thompson likes the Orange a lot. The problem is that his mother reportedly does not want him to be so far from home. Seton Hall is closer to his home in New York City. Recruiting is a notoriously fickle game. Recruits often refer to their “dream schools,” but the process of picking a program is complex and often comes down to multiple factors, including mothers. 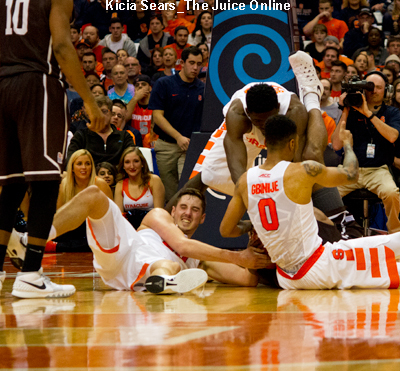 In just the last two years, three recruits have bestowed the “dream school” label on Syracuse. Five-star forward Michael Porter, Jr., said Syracuse was his dream school before he heard about the recent NCAA sanctions. Porter recently trimmed his list to five schools, and Syracuse didn’t make the cut. Last year, Syracuse was in the hunt for 4-start point guard Alterique Gilbert out of Georgia. Gilbert also referred to Syracuse as a “dream school” before committing to UConn. The Orange was also in the hunt for Tyus Battle at the time, so things worked out fine, but with additional scholarships now available the Orange could have used Gilbert for backcourt depth. Most recently, 4-start 2017 target Jordan Tucker applied the “dream school” logo to Syracuse. It’s too early to say whether Tucker will follow through, but he has been on campus multiple times and his recruitment looks promising. The “dream school” label is not necessarily a kiss of death. In the last few seasons, Kris Joseph, Tyler Ennis, and Tyler Lydon have each said or implied Syracuse was their dream school. Kaleb Joseph also touted this after receiving an SU offer, but that is rather sad given his recent transfer to Creighton. Even potential walk-ons apply the dream school label. 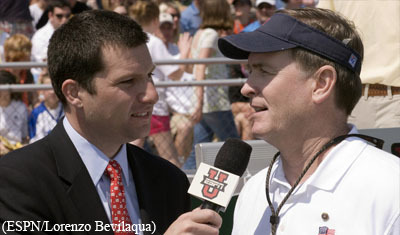 This recently occurred when George Muresan visited campus. As for Thompson, Syracuse might well be his dream school but the decision will be more complicated than that. Coach Boeheim and staff will hope that the dream destination outweighs mom’s concerns, especially given that back-up plan Cheickna Dembele recently committed to UNLV. In the mean time, Syracuse plays the waiting game in the ever-fickle recruiting process.